Bethesda, the company behind games such as Fallout, Doom, and Elder Scrolls announced that a new Elder Scrolls game is coming to iOS. Elder Scrolls: Blades, as the game is called, will put you in the shoes of one of the “empire’s top agents,” known as the Blades. From the first person perspective, you will return home to find that it has been destroyed, leading you on an adventure through dungeons and dangerous terrain. 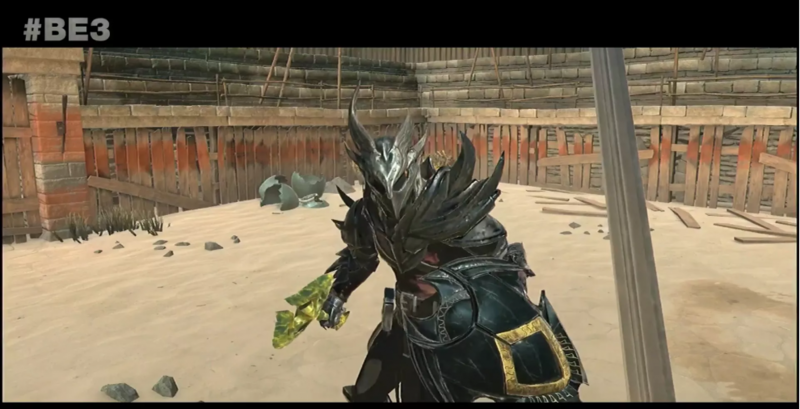 The unique feature about this RPG is that unlike other RPGs on mobile where the game has to be played in landscape mode, Blades can also be played in portrait mode. This will make it easier for the user to play the game using one hand. The game will feature melee attacks, ranged attacks, as well as spells. The game will mainly focus on exploring dungeons and leveling up the character as it is done in other RPGs. One other unique feature that is present in the game is the ability to improve the buildings and other things in a town. This essentially combines the ‘city building’ of other games with the RPG mechanics. This isn’t the first time Bethesda has decided to launch a game on the mobile platform. Last years, Fallout Shelter was a huge success and became one of the most popular games on the App Store. Blades’ will be coming to the mobile platform before making its way towards the PC and consoles along with VR capabilities. The game will be released as a free to play title but one might expect microtransactions to be a part of this game. If you are excited to play the game then do sign up on Bethesda’s website to receive an in-game helmet and sword when it launches. iPhone X can survive underwater for weeks; Check inside for proof!